A heat wave is upon us and people are ready to embrace the heat. From The Lakefront Festival of Art to Polish Fest and Father's Day barbecues, it's a weekend people will likely be outside. "I love the heat," said Judy Hart, festival goer. "If it's sunny get out and enjoy and when you need to cool off just go inside." "We live pretty close to the lake so hopefully we're just banking on that, cold beers, cold sodas, cold water and good food," said Ryan Strenke of Caledonia. 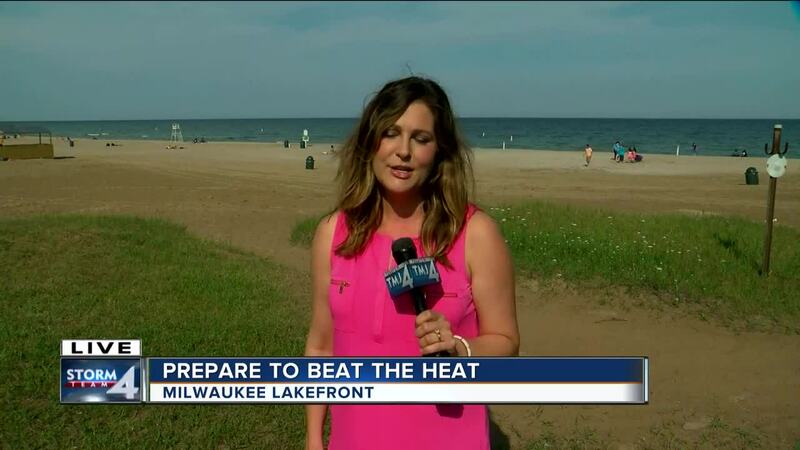 The Milwaukee Health Department reminds people to stay safe by staying hydrated, wearing light color clothing, reapplying sunscreen and limiting physical activity. There are signs to alert you if someone is starting to overheat. "Nausea, dizzying, excessive sweating," said Angie Hagy, Milwaukee Health Department. The Health Department also reminds you to limit the time your pets are outside. Provide water for them and never leave them in a hot car. 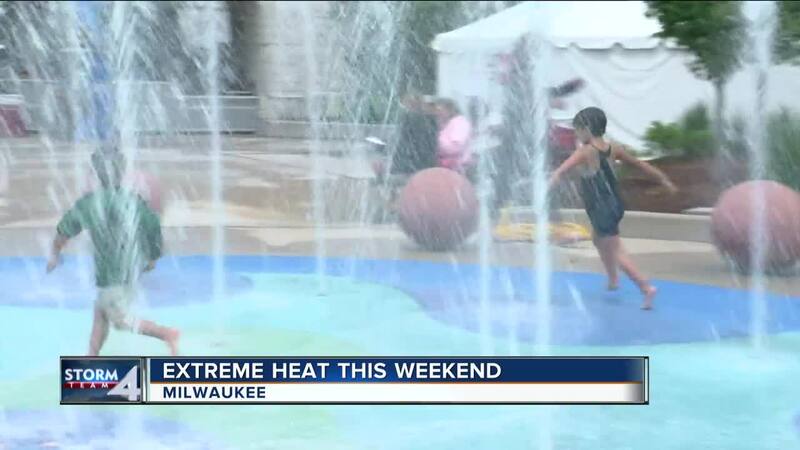 Milwaukee Mayor Tom Barrett hopes people take Saturday's heat advisory serious. "Find a cool place because it is going to be scorching hot, and we ask people to check on their elderly neighbors and friends to make sure their safe as well," said Mayor Tom Barrett. Here is a list of cooling sites in Milwaukee. Many people seem ready to embrace the heat and make the most of it. "Poolside maybe under some air conditioning so we very excited for the heat that's on its way," said Tonya Dunn, festival goer.